On July 21st, at approximately 6:00AM, the Space Shuttle Atlantis will land signaling the end of NASA’s 30 year-long Space Shuttle Program. During its 30 year run, the world has seen the five shuttles (Enterprise never flew in space) complete 135 missions taking satellites into space or aiding in the construction of the International Space Station. 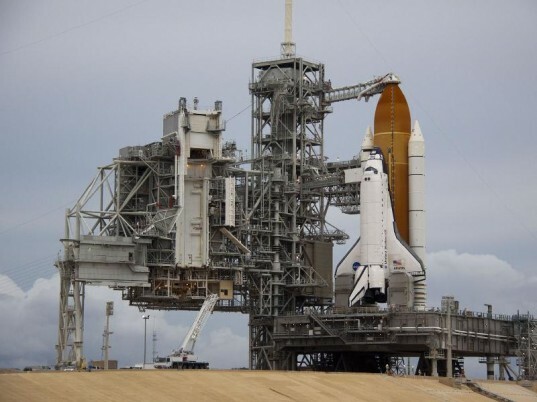 Atlantis’ final mission will mark the end of an era, and to celebrate the event we’re taking a look at the amazing eco-facts you never knew about the space shuttle. Now, by no means is the space shuttle an ‘environmentally friendly’ vehicle. During takeoff, it uses 660,000 pounds of solid fuel and 45,000 gallons of liquid hydrogen per minute. According to this amazing infographic at GreenWala, that is the weight of 42 school buses and equivalent to the amount of energy the average person would use in a year! But one should note that most of the ‘smoke’ seen at shuttle launches is actually water vapor creating by the burning liquid hydrogen. However, once the shuttle is in orbit its systems are fueled by more environmentally friendly hydrogen fuel cells. NASA, who has always been ahead of the curve, has been using the clean technology since 1970 – which makes you wonder why it has taken us so long to embrace it. The water which is created as a byproduct of using hydrogen fuel cells is then used by the astronauts to drink (Now, that’s recycling at its finest!). As the shuttle re-enters the atmosphere, it generates so much energy it literally turns the atmosphere to plasma. During this time, the shuttle is travelling at 8km per second and would require 2,000 megawatts of energy to stop it – the equivalent needed to power a million homes for a year. Of course, the shuttle program has had its negatives. In addition to the tragic Columbia and Challenger disasters, the frequent by-product of shuttle launches is the creation of hydrochloric acid, which in turn produces acid rain. Still, we’d hate to ruin the shuttle’s retirement party, so let’s end on a high note underscoring that the space shuttle uses kinetic energy as a braking system. By converting atmospheric energy to heat, the shuttle is able to slow itself without using any other sources of fuel. Again, kinetic energy is something that we are only now fully using to our advantage. So let’s raise a glass to the space shuttle. Sure, it’s not a hybrid, but it is responsible for the cell phone coverage you receive every day, the launching of interplanetary probes and the amazing images of the Hubble Telescope. Thank you, NASA. -"But one should note that most of the ‘smoke’ seen at shuttle launches is actually water vapor creating by the burning liquid hydrogen." Well, yes and no.... http://www.nasa.gov/centers/kennedy/about/information/shuttle_faq.html#16 Thousands of gallons of water are dumped within a second or two into the pool below all the launches, this minimizes noise and cools the pad. I wonder how much cooling effect all this water vapor has compared to the global warming gases released during launch? @lazyreader, almost all of the technology used by private space flight companies (and even other nations space agencies) where developed by NASA and other US agencies. R&D is the most expensive part of the space program (of any emerging technology). Imagine how much money IBM put into computer development compared to how much it cost Mr. Dell to start a computer company in his dorm room, he couldn't have done it without the investment by IBM. The Space Shuttle may use fuel cells to provide electricity, but they still use the toxic hydrazine as the principal fuel for orbital maneuvering. That hydrogen fuel was probably obtained using natural gas. Those fuel cells are over 25 years old, not very efficient. And nowadays there's nothing the Shuttle can't do that a rocket couldn't do cheaper. I was always impressed by the shuttle as a kid. Still when I see it now compared to private firms dedicated to launch space vehicles of their own for a fraction of the price, the shuttles a White Elephant. All the ISS components and subsequent could have been launched using disposable and cheaper heavy lift rockets. On July 21st, at approximately 6:00AM, the Space Shuttle Atlantis will land signaling the end of NASA's 30 year-long Space Shuttle Program. During its 30 year run, the world has seen the five shuttles (Enterprise never flew in space) complete 135 missions taking satellites into space or aiding in the construction of the International Space Station. 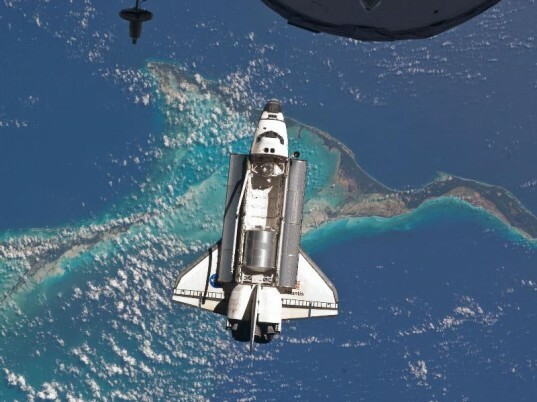 Atlantis' final mission will mark the end of an era, and to celebrate the event we're taking a look at the amazing eco-facts you never knew about the space shuttle.